Add a touch of romance to bath time with 'Two-Hearts'. 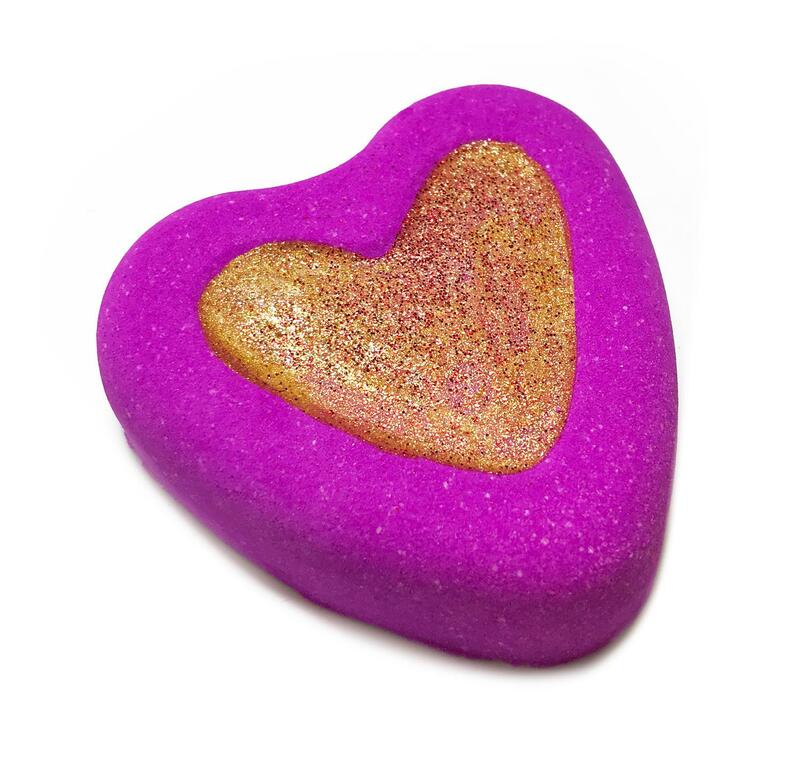 This pretty pink bath bomb is painted with gold lustre to add a bit of shimmer to your skin. The fragrance smells very similar to 'L'air du Temps', a vintage Nina Ricci perfume originally created in 1948 and still popular today. It’s a classically floral scent with a twist. The twist being a hint of spice via musk, iris and sandalwood base notes.